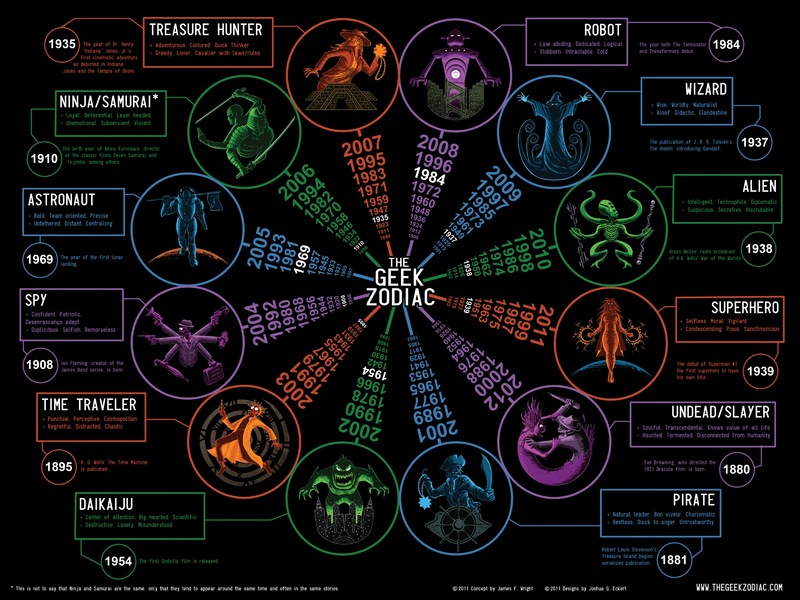 A couple of days ago, ThinkGeek tweeted this (highly accurate) Geek Zodiac. At first, we had some fun with this, finding out where each of us fall in the zodiac. I’m a Superhero, B’s a Undead/Slayer, NHL’s a Time Traveler, and JSL’s a Treasure Hunter. (So *that’s* why he loves humming the Indiana Jones theme song!) After figuring out our extended family, though, we moved on to other things. 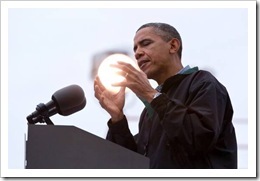 Until, that is, WiredGeekDad tweeted about President Obama being a wizard. They were referring to this totally non-photoshopped photo. Being a geek, I couldn’t let it end at this. I suddenly had to know just what each of the Presidents’ Geek Zodiacs were. Here are the results. James Madison was the only Time Traveler President. Grover Cleveland was the only Astronaut President. The father of our country (aka George Washington)? A Robot. I’m betting he was a Presi-bot built by Ben Franklin. We have had 3 Alien presidents: Martin Van Buren, Dwight D Eisenhower, and James "Face Hugger" Monroe. The three most popular groups for Presidents to come from (with 5 each): Wizards, Pirates, and Treasure Hunters. 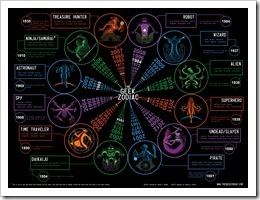 What Geek Zodiac sign are you?